The holidays are all about making memories and building traditions. It’s not enough these days to just give Santa a little snack on Christmas Eve, the kids want to feed the reindeer too! 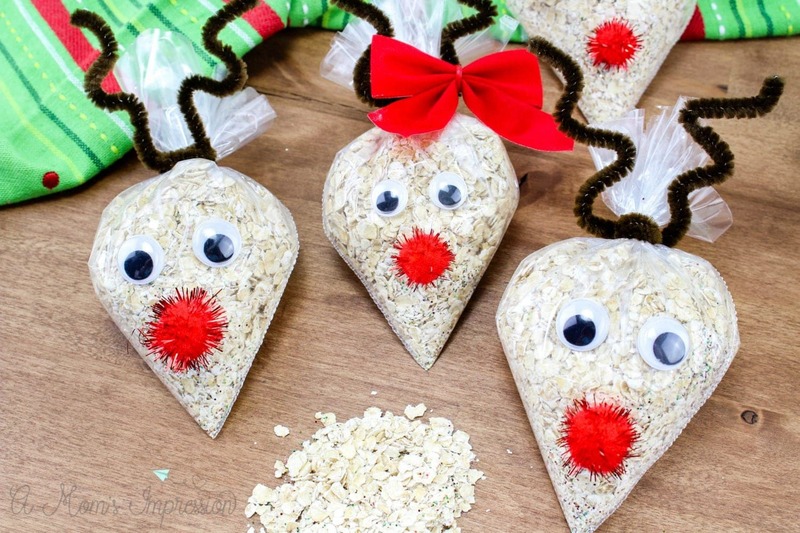 This oatmeal reindeer food recipe isn’t for the kids to eat, it’s all about the sleigh power. 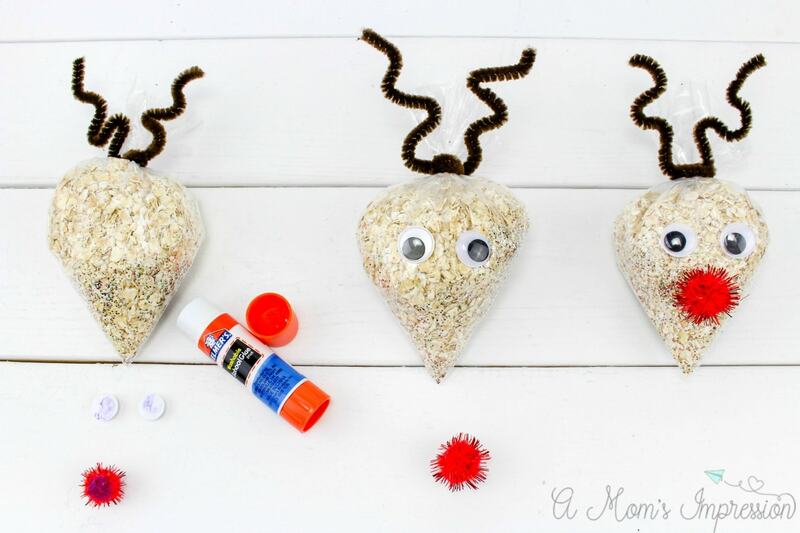 There are several different Christmas reindeer food recipes, this one sparkles on the snow! 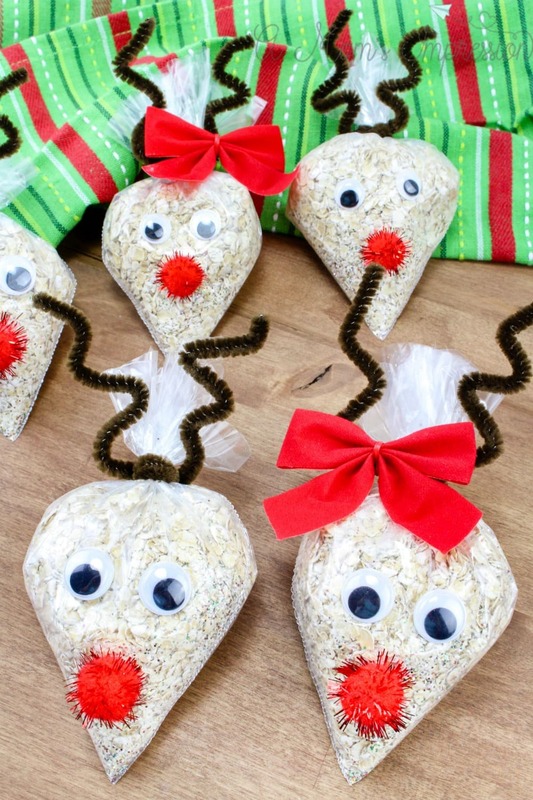 We add a bit of glitter to our reindeer food so that Santa and his helpers can see it glisten from way up in the sky! Glitter helps power the Reindeer’s magic! 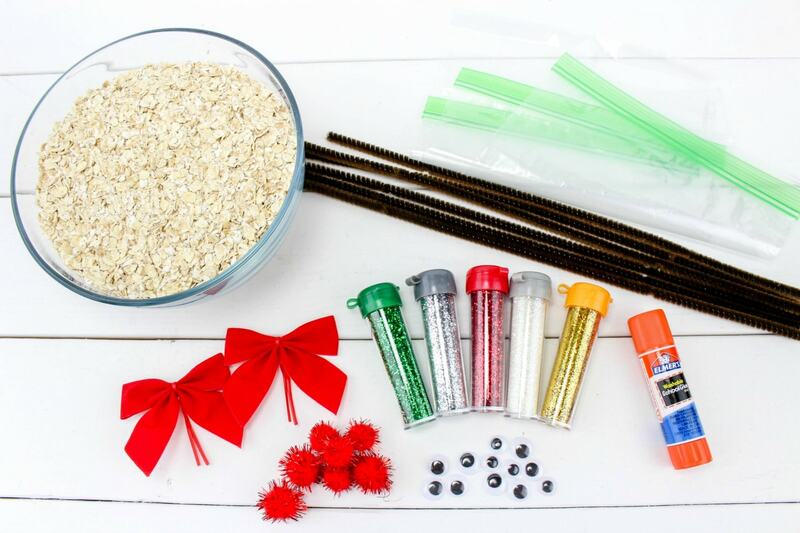 Be sure to put some cookies out on a plate for Santa, and then go out to your lawn and sprinkle some of this oatmeal glitter reindeer food to keep Santa’s helpers full all night long! 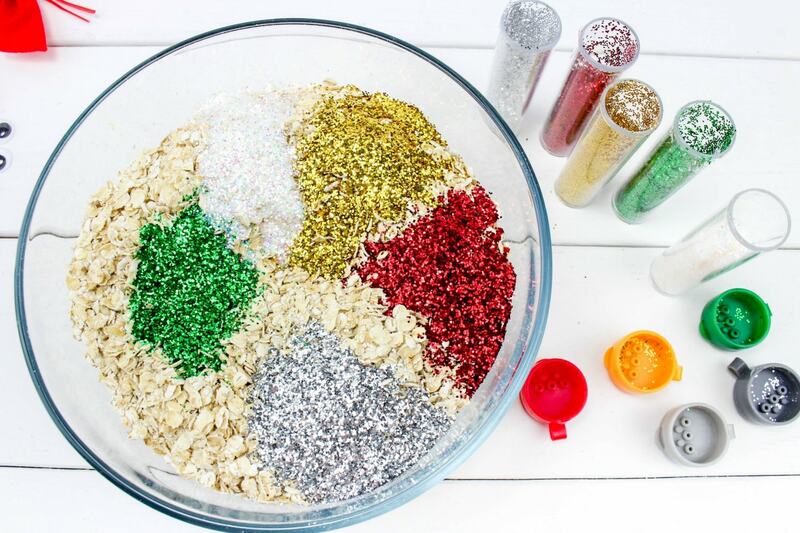 Put the oats in a bowl, and mix in 1-2 Tablespoons of each color of glitter. 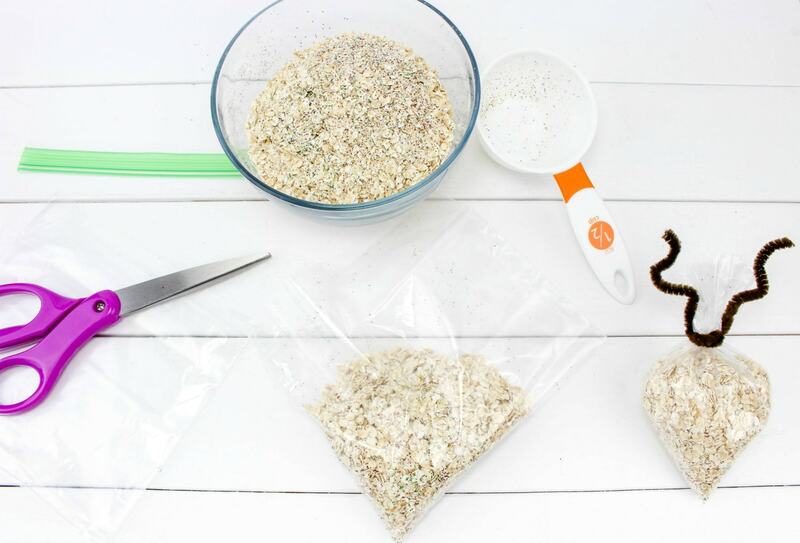 Cut the zippered tops off each baggie and pour ½ cup of oat mixture into each baggie. Make sure to pour it into the corner of the baggie. Now, take a pipe cleaner and tie each baggie closed. Twist it a few times around and leave the ends sticking up. Bend each of the ends back and forth a few times to resemble antlers. Glue two googly eyes and a red pom on each bag. On Christmas Eve, children can sprinkle it on the lawn to feed Santa’s reindeer! Enjoy this new holiday tradition with your family this year! I would love to hear about any more holiday traditions that you celebrate with your family. Leave your ideas in the comments! 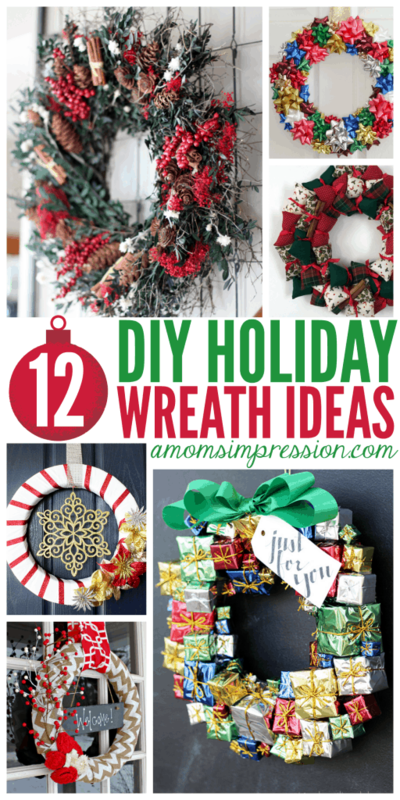 For more holiday fun be sure to check out our collection of DIY Holiday Wreaths!